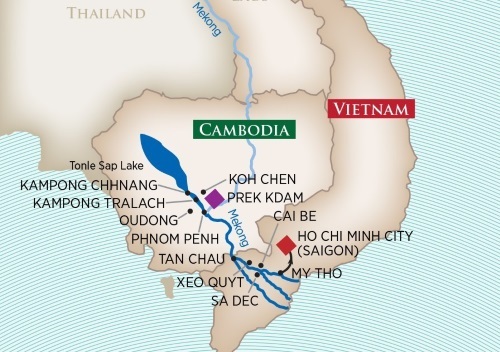 Embark your exotic Mekong cruise in Prek Kdam, Cambodia. Visit rural villages, historic pagodas, floating markets and a Buddhist monastery along the way. Overnight in Phnom Penh, capital of Cambodia. Conclude your cruise in My Tho Port, outside of Ho Chi Minh City.